Learn about how The Great Game of Business can help you achieve rapid financial results and lasting cultural change. Participants will enjoy a complete overview of The Great Game of Business including a full MiniGames training session! 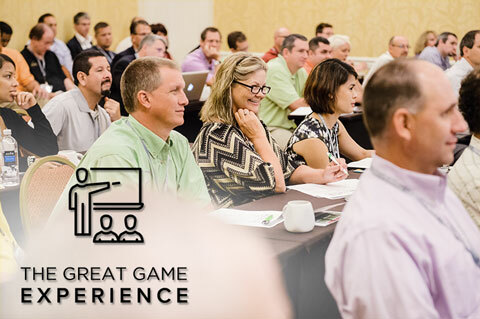 The Great Game Experience teaches attendees how open-book management can work in their company and how they can use our methodology to create rapid financial results and build lasting cultural change within their own organizations. Attendees should be prepared for a busy day and should expect to leave with a thorough understanding of how they can start practicing open-book right away. Don't wait—Register before October 18, 2019 to save $200 with Early Bird Pricing! Read the full company case study to learn more about Kiolbassa's Great Game journey.